Byers Engineering Company recognizes that the most important element in any business transaction is the human equation. Our people are our most valued resource. Leaders at every level, they embody the values that allow us to deliver superior service to our clients over and over again. Following are thumbnail portraits of the men and women who direct our geographic and functional strategic business units, offering support and guidance to our employees across the United States. 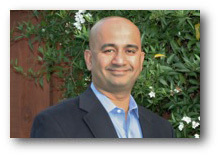 Aamer Abbasi joined Byers Engineering Company in 2012. 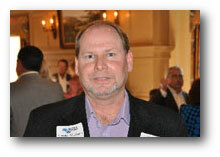 He is the Vice President of West Region and also heads the national wireless group. Mr. Abbasi has 20 years of experience in the Telecommunication industry. Prior to joining Byers Engineering Company, Mr. Abbasi held several key positions at Ericsson, FiberTower and Verizon (MCI/WorldCom) in the areas of engineering and sales. Mr. Abbasi holds a M.S. degree in Electrical Engineering and an MBA degree from Spears School of Business from Oklahoma State University. Mr. Abbasi lives in the Silicon Valley / Bay Area of Northern CA. and enjoys attending San Francisco Giants baseball games in the summer and San Jose Sharks in the winter. Mr. Abbasi supports charities like Team in Training (Leukemia and Lymphoma Society) and supports educations for under privileged children in his native country of Pakistan. He loves to play golf, go for a run early in the morning, and swim at every chance he gets. Since joining the firm in 2009, Alan has managed master contracts for OSP design services in Alabama, volume design projects for FTTH throughout the Southeast, and market overbuilds for FTTH in Salt Lake City and Austin. 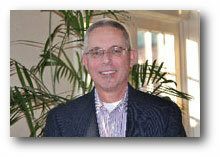 Recently promoted to VP, Alan has accepted the challenge of opening a new region for the firm in the Midwest. 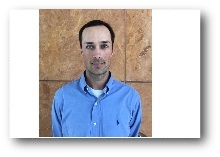 Prior to joining the firm, Alan was an OSP designer with two different firms in the Southeast. 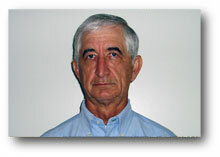 Dan has more than 40 years’ experience in telecommunications, building emerging wireline and wireless networks. 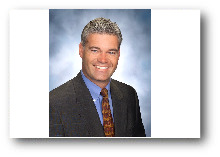 Before coming to Byers, he was Vice President of Deployment for Evolutions Networks, where he supervised the planning and deployment of a national buildout for that CLEC/IXC company; and previous to that held senior positions with BellSouth and several international companies in Australia, China and Mexico, where he directed the engineering and deployment of VSAT/fiber and fiber optic networks. Ed joined Byers Engineering Company in June, 2017, and leads operations and business development for the Northeast region. Ed has 35 years of wireline and wireless experience, having held leadership roles in companies ranging from startup to Fortune 500, including executive positions in Ericsson, Level 3, FiberTower, PrimeCo, Bell Atlantic International Wireless, and Bell Atlantic Mobile. Ed also co-founded PEG Bandwidth in 2009, where he served as COO prior to its sale in 2016 for over $400M. Most recently Ed was Head of North America Fiber Engineering and Construction for Ericsson. Ed has a BS in Industrial Engineering from Lehigh University, and he will be relocating with his family to the Philadelphia metro area in early 2018. An attendee of Mississippi State University, Larry has more than 45 years’ of diverse experience in the telecommunications industry; 30 of those years spent with BellSouth in OSP Network Management. 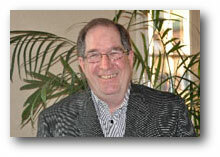 Before coming to Byers, he served as the Senior Director for both NorthStar and Utiliquest. Since joining Byers in April of 2008, Larry has managed our Louisiana Engineering Operations Center and now serves as our Vice President over all engineering operations in our Gulf Coast Region. From field engineering to managing the company’s largest underground utility locating operation, Tom has served in a variety of capacities since joining Byers in 1975 – a broad and rich range of experience which makes him well-qualified for his current responsibilities, providing senior-level operating support to the Engineering Group’s management team in the areas of processes, systems, procurement, training, recruiting, and accounts receivable. 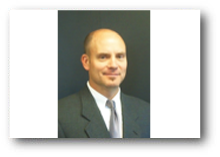 Frank joined Byers in January 2011 with more than 19 years’ experience in providing professional services to the telecom, utility and corporate real estate industries. Frank holds responsibility for executive relationship management, marketing and business development for the SpatialAge Solutions Group. Prior to joining Byers, Frank held operational and business development leadership positions with QC Data Inc. and Rosser International’s AM/FM/GIS practice and served as a commissioned officer in both an Active Duty and Reserve status with the United States Army Corps of Engineers. Frank earned a BIE degree from Georgia Tech in 1989, and in his free time enjoys running, traveling, spending time with his wife and daughter and watching his son play competitive baseball. Doug has leadership responsibility for the Byers' southeast region, Georgia and Florida, and the company's National Fiber initiatives. He has more than 18 years of US and international experience with multiple telecommunications and utility organizations, including several years managing programs in the UK. Doug has previously held several senior leadership positions with QC Data Inc. A graduate of the United States Naval Academy with a master's degree from the University of Virginia. Enjoys spending time with family and friends, as well as biking, climbing, and golfing on the weekends. Steve joined Byers in 2000. 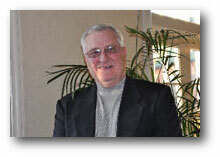 He has more than 40 years of experience in telecommunications; 32 years were with SBC (AT&T). During his tenure with SBC, he held various senior management positions. His last assignment was Executive Director, Network Build, for Telecom South Africa. In addition to domestic assignments, he also worked in England and Mexico. 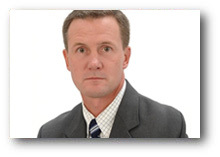 All of his experience is related to deployment of wireline and wireless networks. Currently, he is responsible for the Southwest Region which includes Texas and surrounding states. Service with integrity, quality, and on-time delivery are his priorities.